With the popularity of professional networking sites and the ease of how you get commendations through Facebook and Twitter, should you still add professional references to your resume? More and more job seekers are asking this question and this article hopes to answer this for the last time. In a study conducted by Harris interactive, a staggering 69% of employers confess they changed their minds about hiring a candidate after speaking with a professional reference listed in an applicant’s resume. The remaining third say references did not sway them from hiring a potential candidate at all. In the same study, half of the respondents admitted to receiving less than favorable opinions while 23% reported finding favorable opinions about the candidate from the professional references they listed. In the same study, 80% of the employers say that they do contact references when evaluating shortlisted and potential candidates. In fact, 16% of these employers admitted that they even contacted professional references before considering a candidate for a job interview. It is worth noting that more than half of the employers surveyed said that the referees they contacted have nothing but unfavorable things to say about the applicant that listed them in their resume. What is scarier is that almost a third of these employers found candidates had listed professional references that were fake. From the referee’s perspective, 15% of them reported that they didn’t even know they were being listed as a candidates reference. How many references should have? 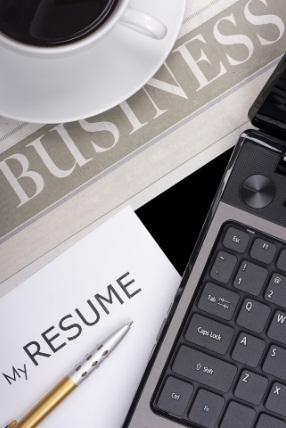 Typically, you should have at least three professional references on your resume. These people should be willing to vouch for your ability & manner, and support what is on your resume. It will be in your best interest to talk to these people and gain their consensus first. This ensures you won’t have potential employers calling people who may know nothing about your professional skills and qualifications. The short answer is YES, you SHOULD add professional references to your resume. Job seekers should evaluate whether the references they’re adding understand the full scope of their responsibilities. The best professional references are those willing to be the job seekers biggest cheerleaders. How to choose Professional Reference ? Choosing who to put on your resume as your professional reference requires a lot of critical thinking. You have to assess the pros and cons of each person you select to make sure you get the most from them, the majority of job seekers settle with adding mentors, previous bosses, and even friends. In order to benefit from the presence of these people on your resume, choose references who can best talk about your skills, talents, & work ethics clearly and relate it to the your potential employer with the most impact. If you have connections with people who are friends or someone who has a personal relationship with the hiring manager, it would be in your best interest to put them at the top of your reference list. The existing connection shared by these two people will make it easier for you to get the job, as the hiring manager is more likely to trust the assessment of the person he or she knows. Another important thing to consider when choosing your professional reference is to make sure they are connected to the industry you wish to work for. If you are applying as a nurse, then choose someone from the healthcare industry. Make sure the person you choose has enough professional experience in the field so they can add value to your application. Professional references should be placed at the end of the resume so they do not distract employers and hiring managers when reviewing your resume. When adding their contact details, ask them first if they are happy to provide a reference for you. Never include details like phone numbers or email addresses until after they say it is okay to do so. Including professional references on your resume lends authenticity and adds weight to the document. You just have to be very careful about who you choose as they could make or break your job application.